Little killer dwarves have invaded your little shire and you need to put up a brave fight and defend your people. Kill those deadly knife throwing little monsters as soon as you see them. 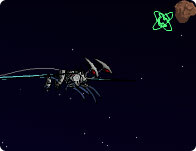 Fast-paced outer space shooter with an oxygen-hungry mothership and an array of hot plasma weapons. Drive your tank around and destroy the enemy forces to unlock/buy powerful upgrades for your tank!